Fought both Reno and Custer. He documented the battle of Little Bighorn in 1881 with 41 ledger drawings. Five springs ago I, with many Sioux Indians, took down and packed up our tipis and moved from Cheyenne river to the Rosebud river, where we camped a few days; then took down and packed up our lodges and moved to the Little Bighorn river and pitched our lodges with the large camp of Sioux. pitched next. The Oglala's lodges were pitched next. 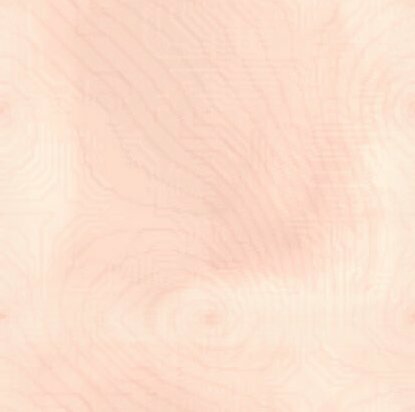 The Brule lodges were pitched next. The Minneconjou lodges were pitched next. The Sans Arcs' lodges were pitched next. The Blackfeet lodges were pitched next. The Cheyenne lodges were pitched next. A few Arikara Indians were among the Sioux (being without lodges of their own). Two-Kettles, among the other Sioux (without lodges). I was a Sioux chief in the council lodge. My lodge was pitched in the center of the camp. The day of the attack I and four women were a short distance from the camp digging wild turnips. Suddenly one of the women attracted my attention to a cloud of dust rising a short distance from camp. I soon saw that the soldiers were charging the camp. To the camp I and the women ran. When I arrived a person told me to hurry to the council lodge. The soldiers charged so quickly we could not talk (council). We came out of the council lodge and talked in all directions. 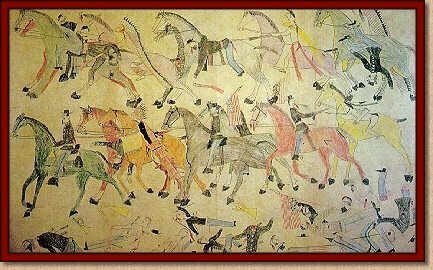 The Sioux mount horses, take guns, and go fight the soldiers. Women and children mount horses and go, meaning to get out of the way. Among the soldiers was an officer who rode a horse with four white feet. [This officer was evidently Capt. French, Seventh Cavalry.] The Sioux have for a long time fought many brave men of different people, but the Sioux say this officer was the bravest man they had ever fought. I don't know whether this was Gen. Custer or not. Many of the Sioux men that I hear talking tell me it was. I saw this officer in the fight many times, but did not see his body. It has been told me that he was killed by a Santee Indian, who took his horse. This officer wore a large-brimmed hat and a deerskin coat. This officer saved the lives of many soldiers by turning his horse and covering the retreat. Sioux say this officer was the bravest man they ever fought. I saw two officers looking alike, both having long yellowish hair. 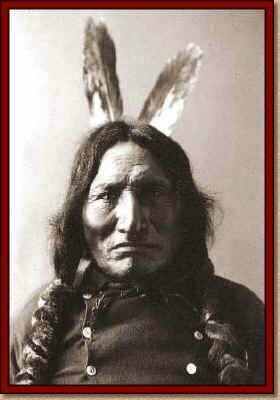 This day [day of attack] a Sioux man started to go to Red Cloud agency, but when he had gone a short distance from camp he saw a cloud of dust rising and turned back and said he thought a herd of buffalo was coming near the village. The day was hot. In a short time the soldiers charged the camp. [This was Maj. Reno's battalion of the Seventh Cavalry.] The soldiers came on the trail made by the Sioux camp in moving, and crossed the Little Bighorn river above where the Sioux crossed, and attacked the lodges of the Uncpapas, farthest up the river. The women and children ran down the Little Bighorn river a short distance into a ravine. The soldiers set fire to the lodges. All the Sioux now charged the soldiers and drove them in confusion across the Little Bighorn river , which was very rapid, and several soldiers were drowned in it. On a hill the soldiers stopped and the Sioux surrounded them. A Sioux man came and said that a different party of Soldiers had all the women and children prisoners. Like a whirlwind the word went around, and the Sioux all heard it and left the soldiers on the hill and went quickly to save the women and children. From the hill that the soldiers were on to the place where the different soldiers [by this term Red-Horse always means the battalion immediately commanded by General Custer, his mode of distinction being that they were a different body from that first encountered] were seen was level ground with the exception of a creek. Sioux thought the soldiers on the hill [i.e., Reno 's battalion] would charge them in rear, but when they did not the Sioux thought the soldiers on the hill were out of cartridges. As soon as we had killed all the different soldiers the Sioux all went back to kill the soldiers on the hill. All the Sioux watched around the hill on which were the soldiers until a Sioux man came and said many walking soldiers were coming near. The coming of the walking soldiers was the saving of the soldiers on the hill. Sioux can not fight the walking soldiers [infantry], being afraid of them, so the Sioux hurriedly left. The soldiers charged the Sioux camp about noon . The soldiers were divided, one party charging right into the camp. After driving these soldiers across the river, the Sioux charged the different soldiers [i.e., Custer's] below, and drive them in confusion; these soldiers became foolish, many throwing away their guns and raising their hands, saying, "Sioux, pity us; take us prisoners." The Sioux did not take a single soldier prisoner, but killed all of them; none were left alive for even a few minutes. These different soldiers discharged their guns but little. I took a gun and two belts off two dead soldiers; out of one belt two cartridges were gone, out of the other five. The Sioux took the guns and cartridges off the dead soldiers and went to the hill on which the soldiers were, surrounded and fought them with the guns and cartridges of the dead soldiers. Had the soldiers not divided I think they would have killed many Sioux. The different soldiers [i.e., Custer's battalion] that the Sioux killed made five brave stands. Once the Sioux charged right in the midst of the different soldiers and scattered them all, fighting among the soldiers hand to hand. The banks of the Little Bighorn river were high, and the Sioux killed many of the soldiers while crossing. The soldiers on the hill dug up the ground [i.e., made earth-works], and the soldiers and Sioux fought at long range, sometimes the Sioux charging close up. The fight continued at long range until a Sioux man saw the walking soldiers coming. When the walking soldiers came near the Sioux became afraid and ran away.